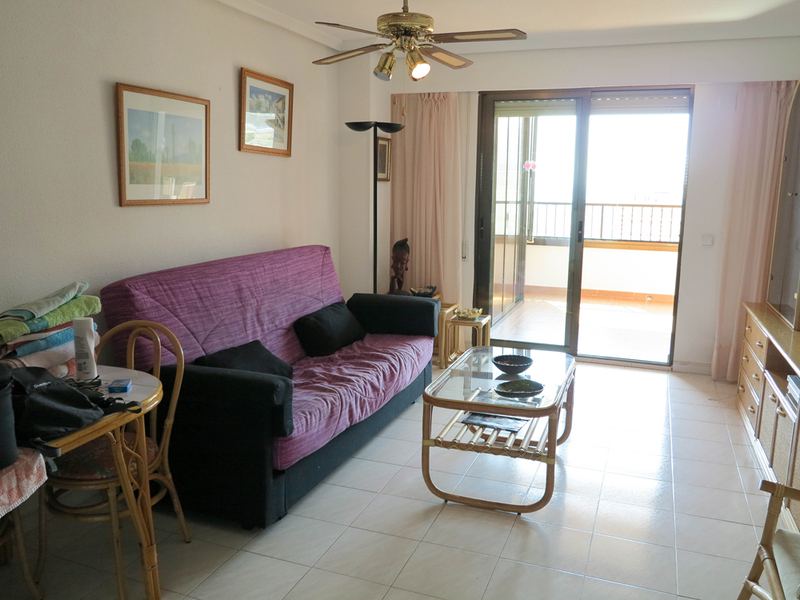 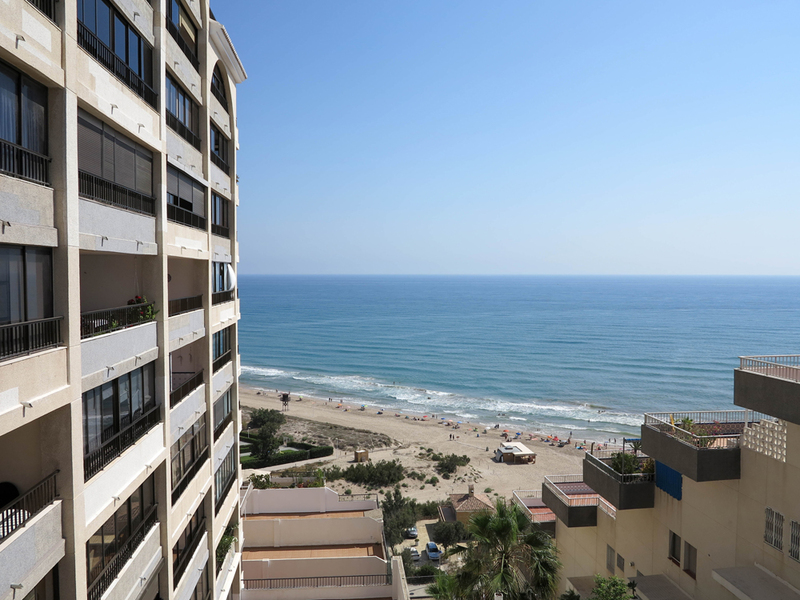 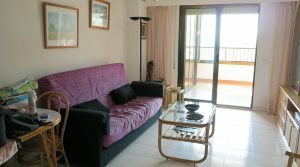 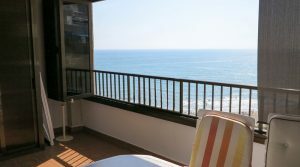 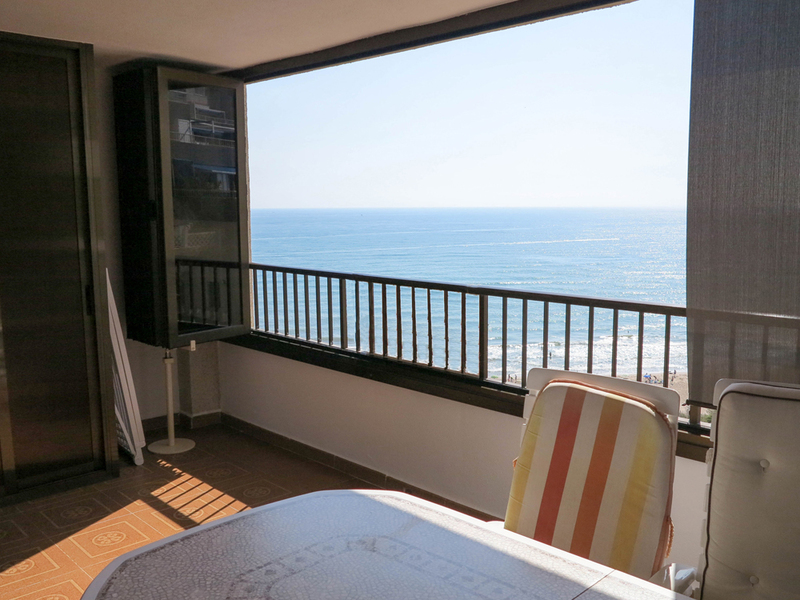 This is one of our beautiful sea view apartments for sale Valencia. 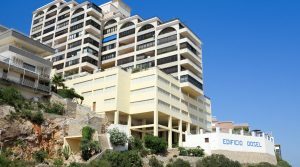 It is a well-presented apartment with fantastic first line, clear unspoiled views of Dosel beach in Faro, Cullera and the Mediterranean Sea. 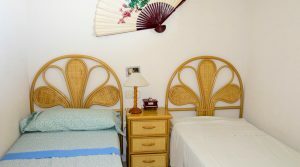 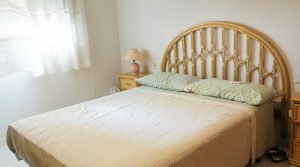 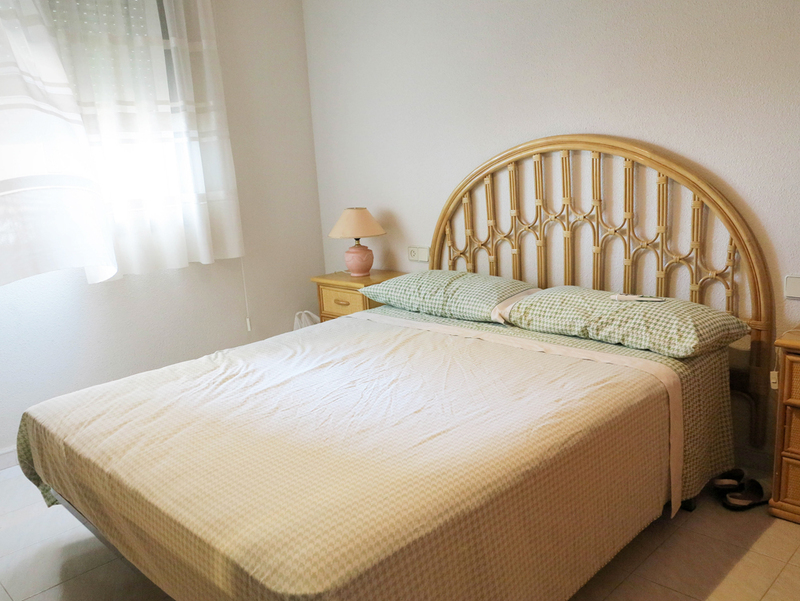 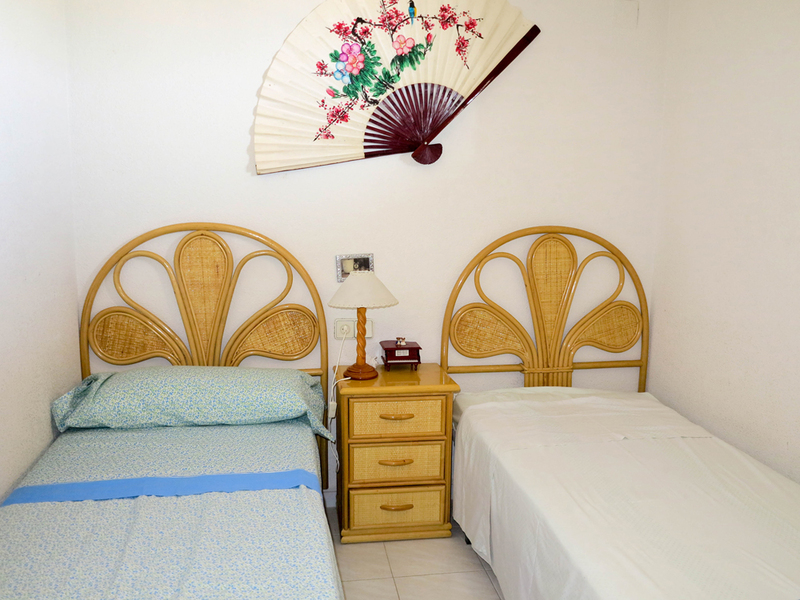 Situated within walking distance of the pretty town of Faro which has many bars and restaurants on offer. 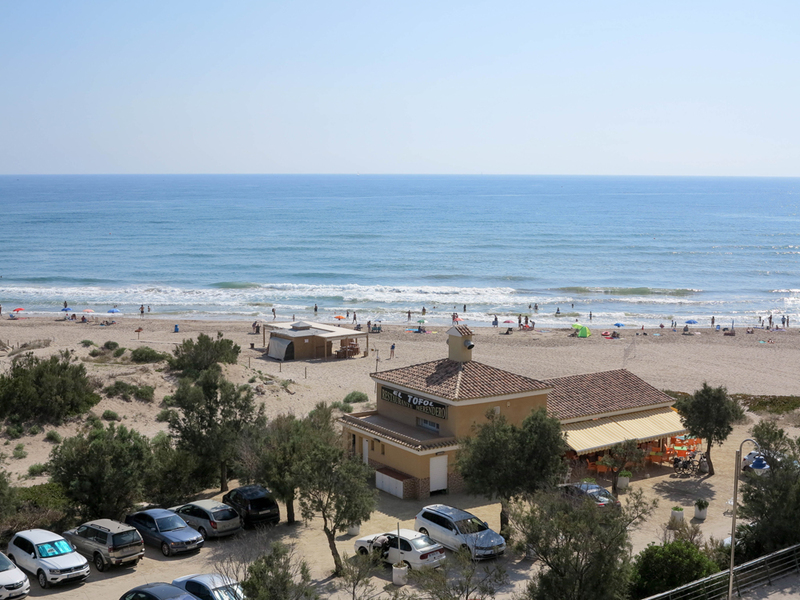 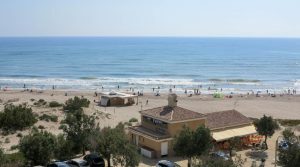 This is highly regarded as one of the best beaches along the Valencia coastline and it has held it blue flag cleanliness award for many years. 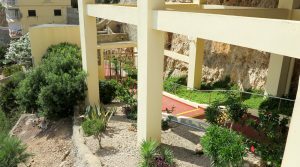 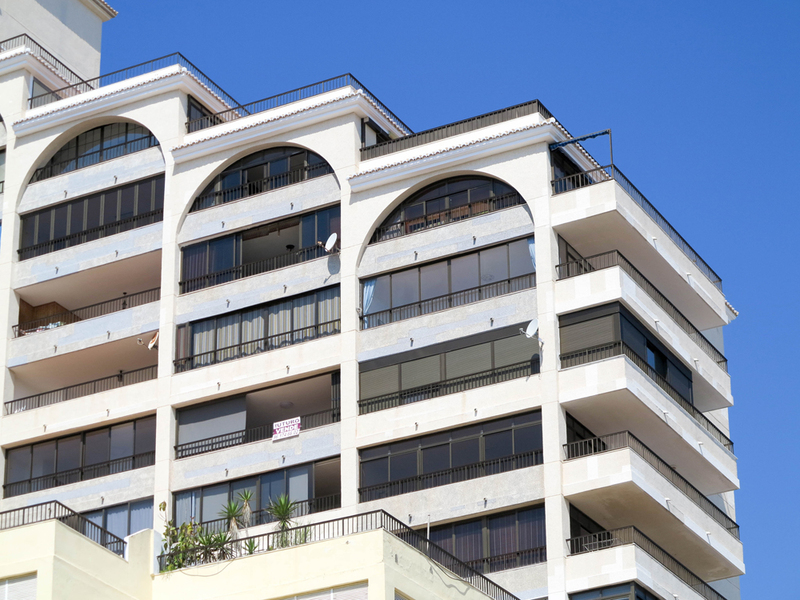 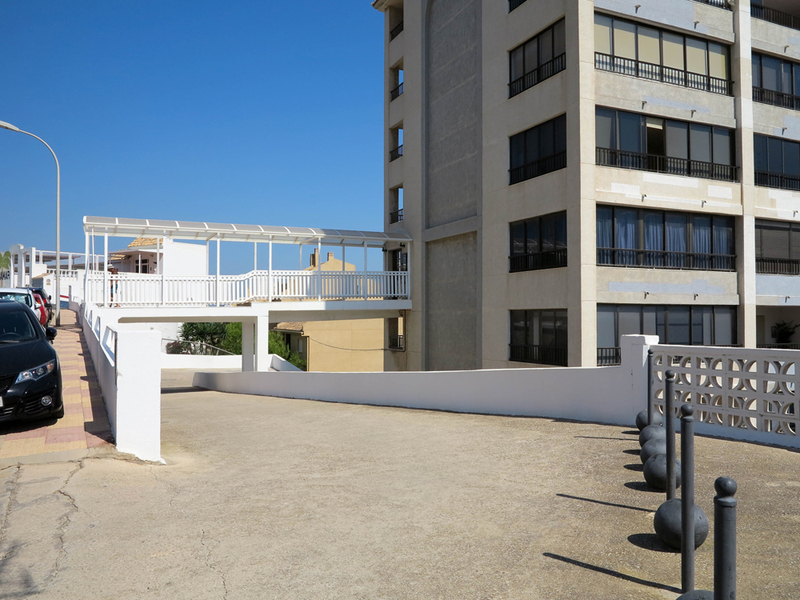 This prestigious apartment building has private underground car parking and there is also a large private communal swimming pool and sunbathing terrace for its residents overlooking the sea, with a private access down onto the beach. 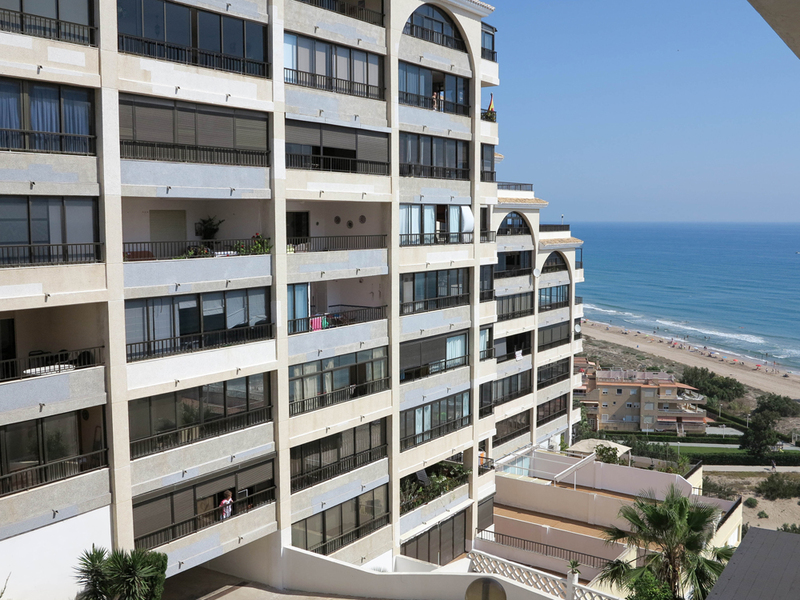 There are two modern elevators in this apartment building taking you between all floors. 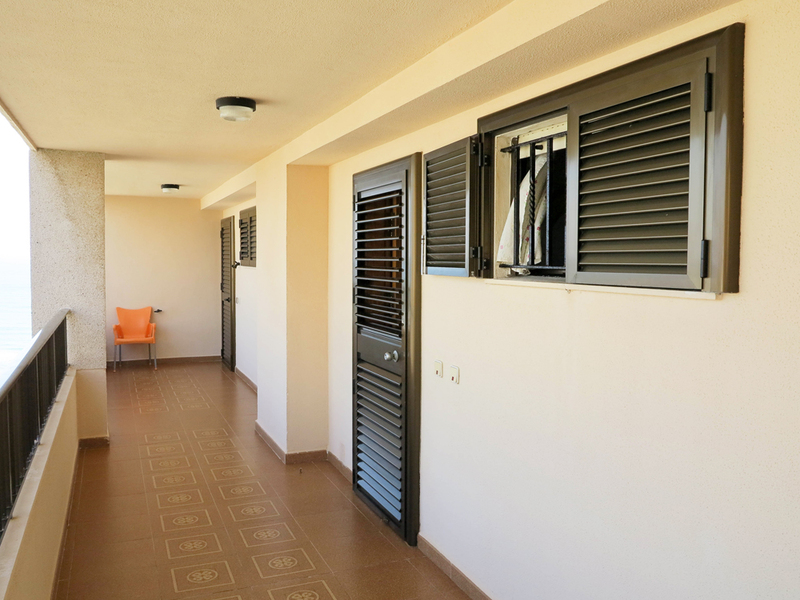 Inside the apartment, you will see that it is presented to a high standard, and is being sold fully furnished, complete with double glazed windows throughout. 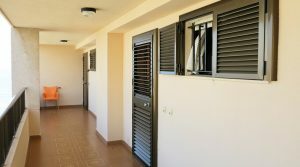 From the entrance hallway, it leads you to the large lounge/dining room area with patio doors that continue out onto the spacious terrace. 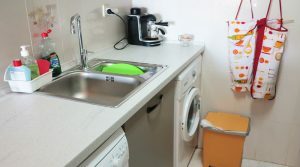 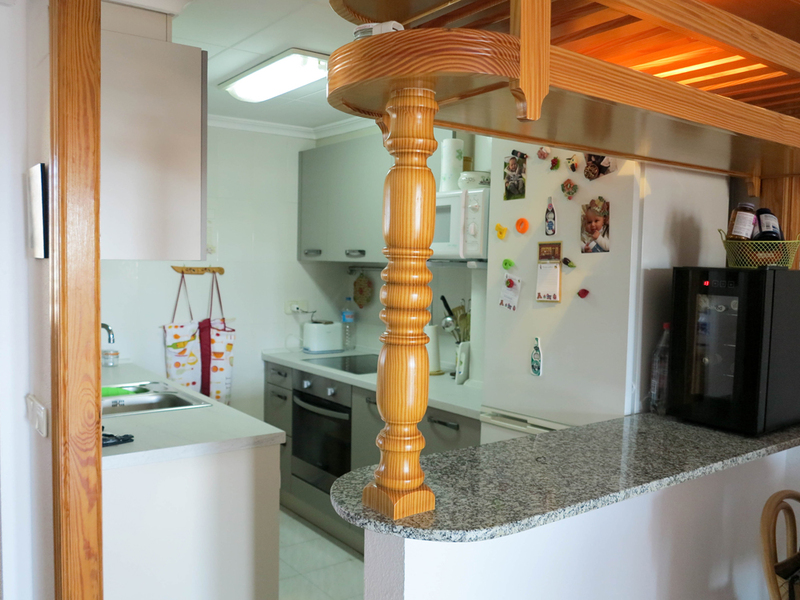 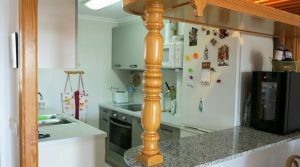 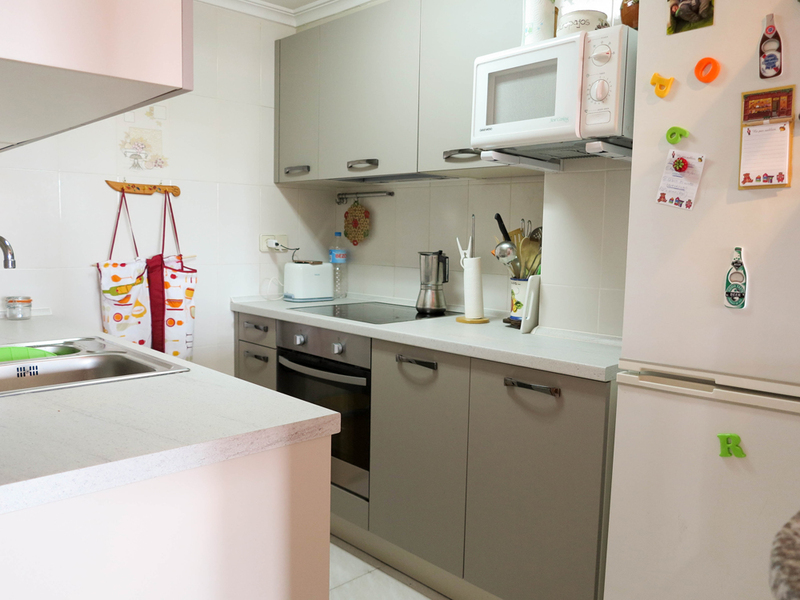 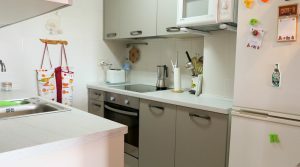 There is a modern newly fitted good quality fully fitted American kitchen complete with all white goods including a dishwasher, electric hob, and oven and with a breakfast bar. 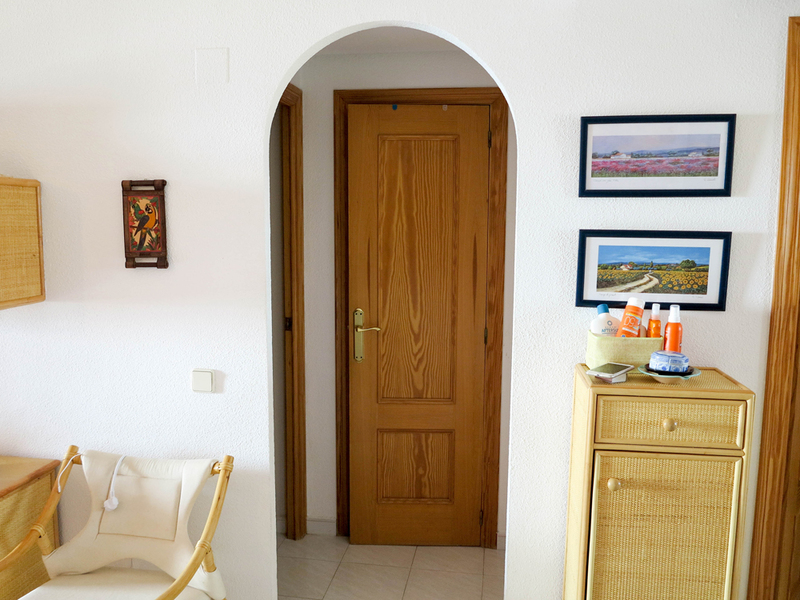 Then from the hallway, this takes you to two double bedrooms each with fitted wardrobes and a modern family bathroom that shower cabin. 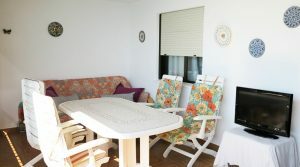 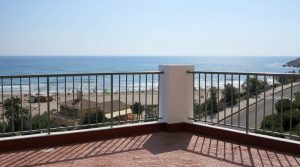 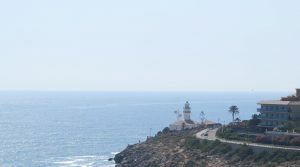 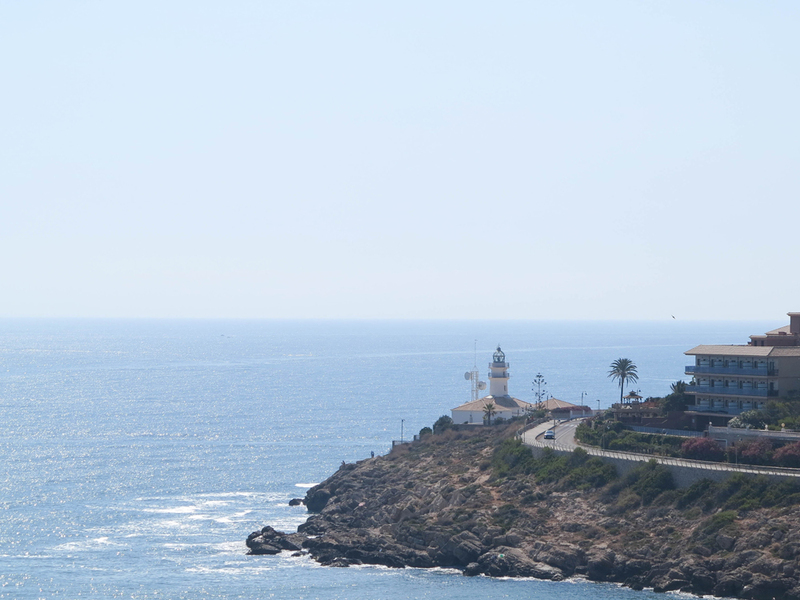 The glazed-in terrace at the front of this apartment is a wonderful space, boasting panoramic unspoiled views of the sea, beach and all the way across to El Faro’s lighthouse on the corner of the coastline. 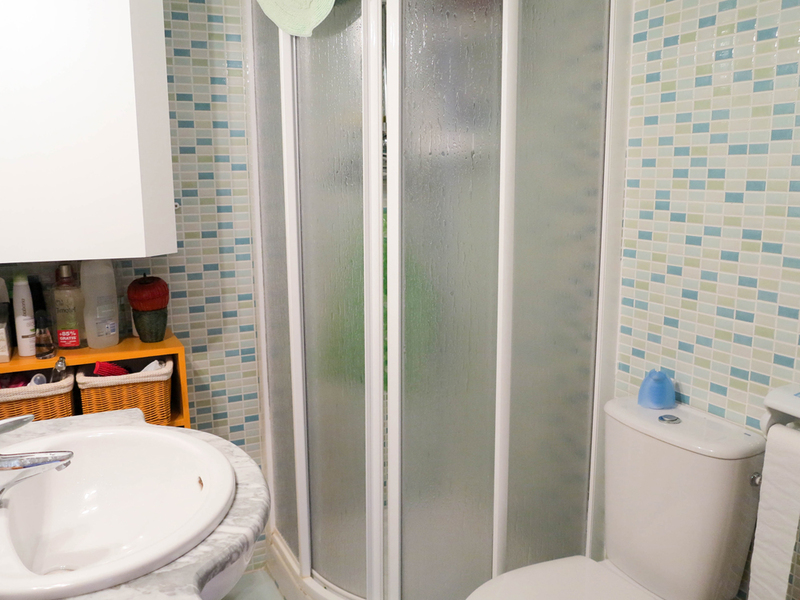 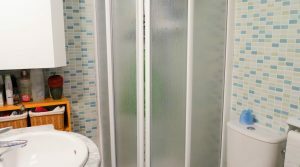 The double glazed windows have a bi-fold system so they can all be opened up completely, which is a good feature. 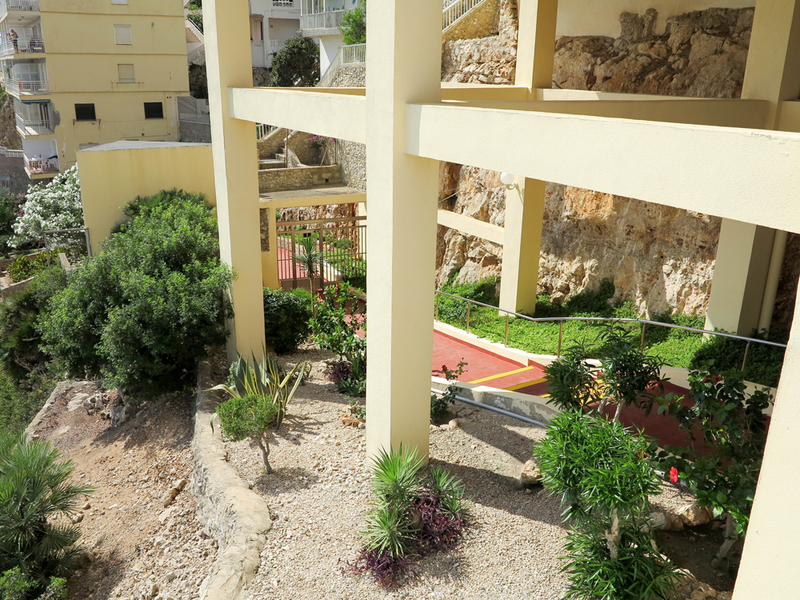 This is a large terrace area 22m² and makes a wonderful space for entertaining and to enjoy the breathtaking views. 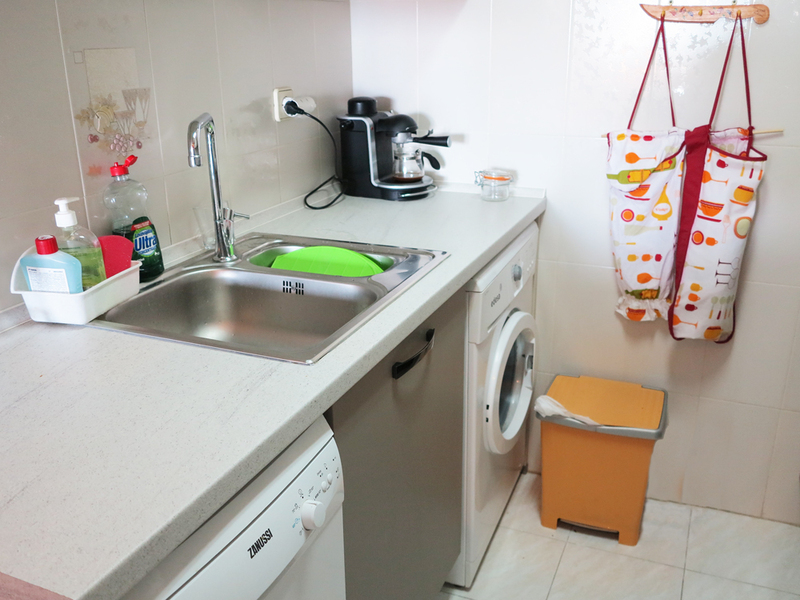 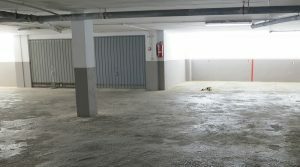 There is also a modern storage space of 2m² incorporated in this floor space. 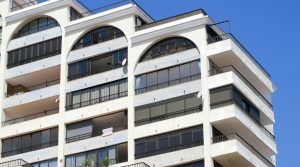 You have a large private car parking space that comes complete with this apartment sale, situated in the private underground parking of this apartment building. 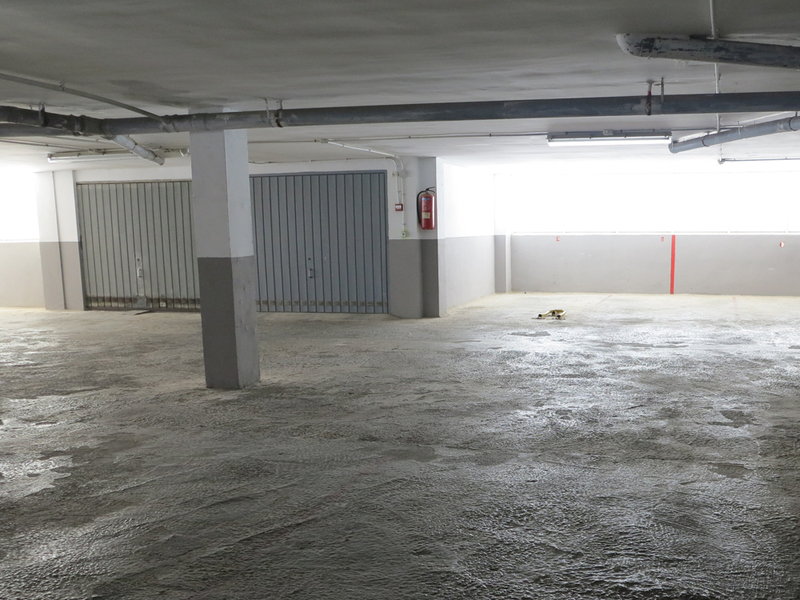 This underground parking is access by remote control and it is very secure. 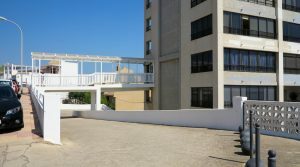 You also have the option to buy an actual fully enclosed lockable single garage which is also located in this apartment building on the first floor of the parking area. 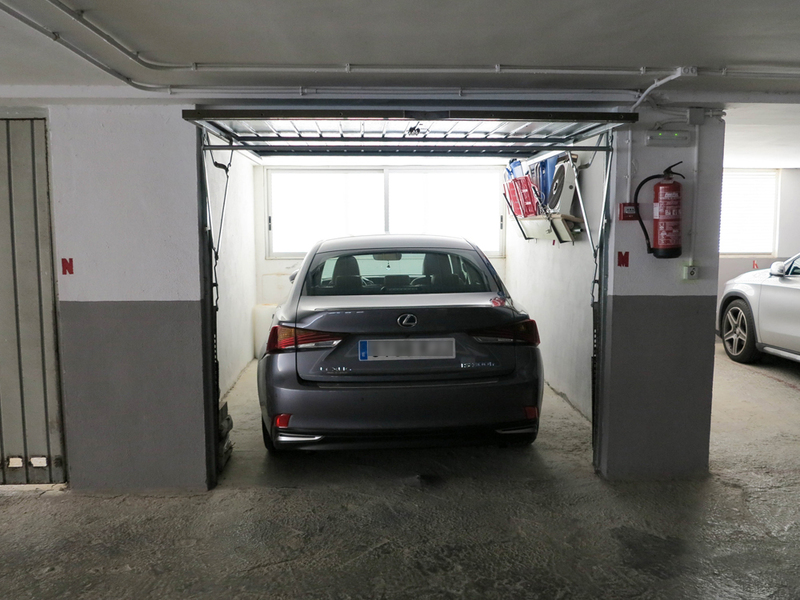 The owner will sell this additional garage separately for 15.000 Euros. 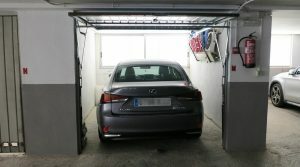 This additional garage has its own separate title deed so it can be sold separately to the apartment if you did not want to buy the garage also, but the option is there for you. 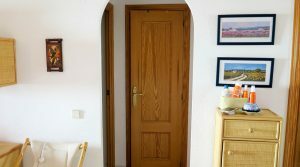 It’s somewhere where you can lock up your car and store your surfboards, beach items or even your jet ski! 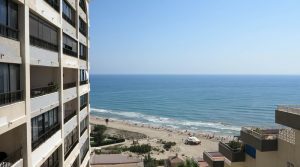 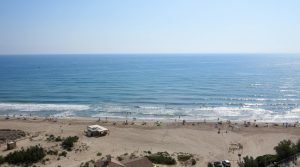 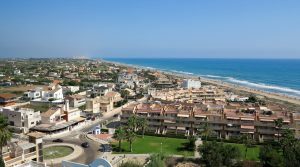 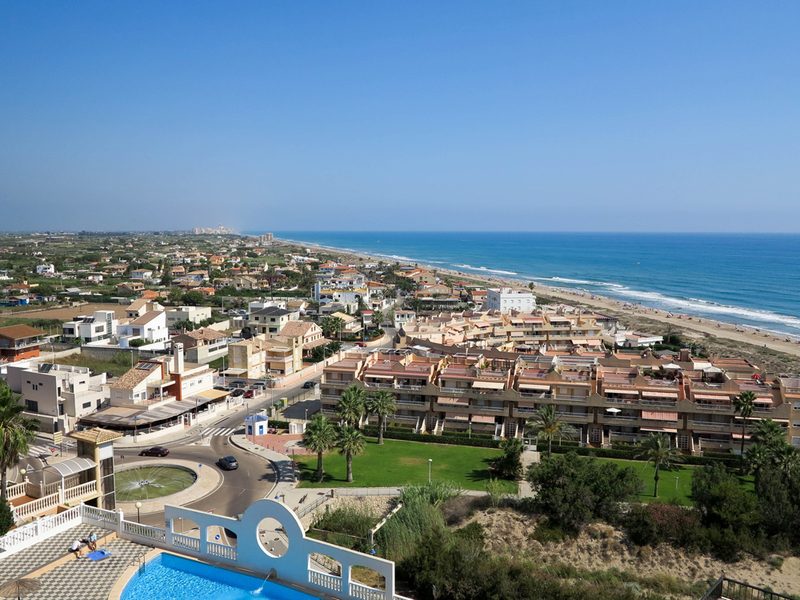 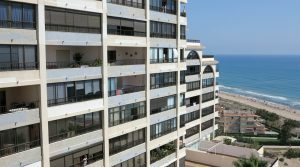 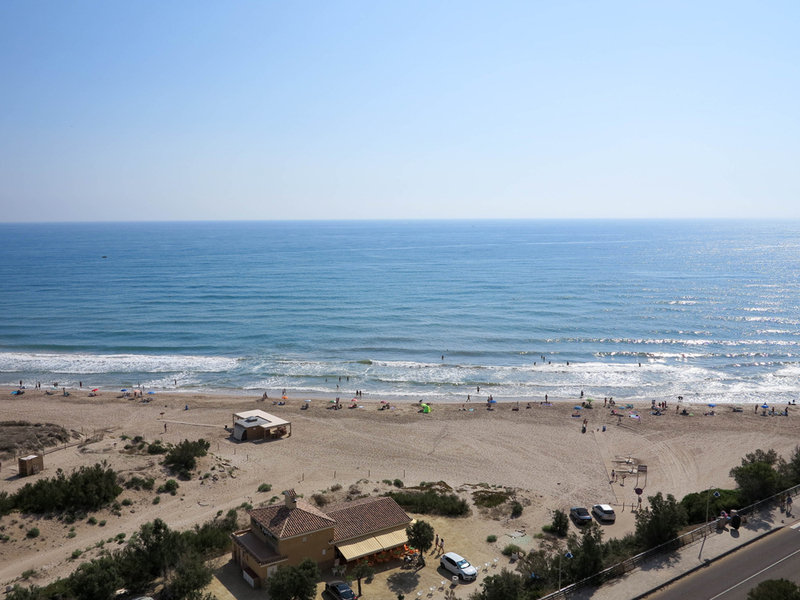 This well positioned, well appointment sea view apartment for sale Cullera is located on one of the best beaches in Valencia. 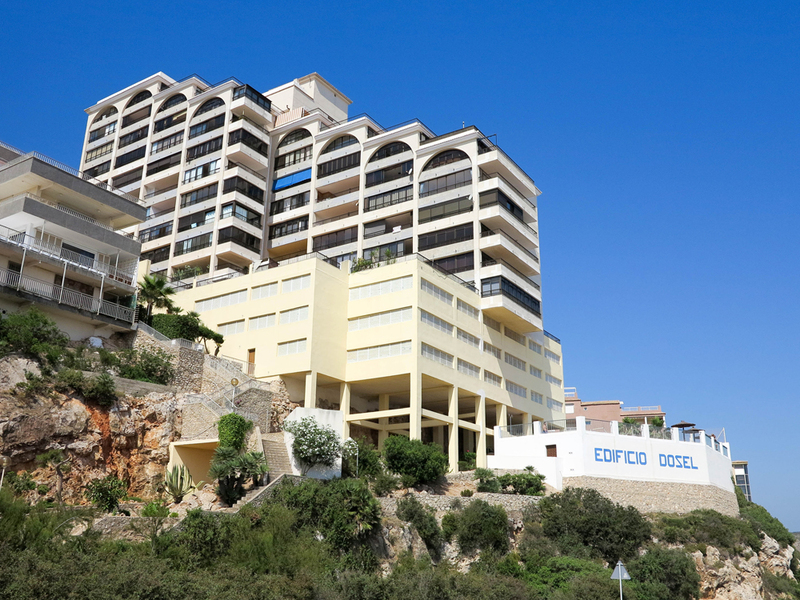 This ideal property would make a lovely holiday home. 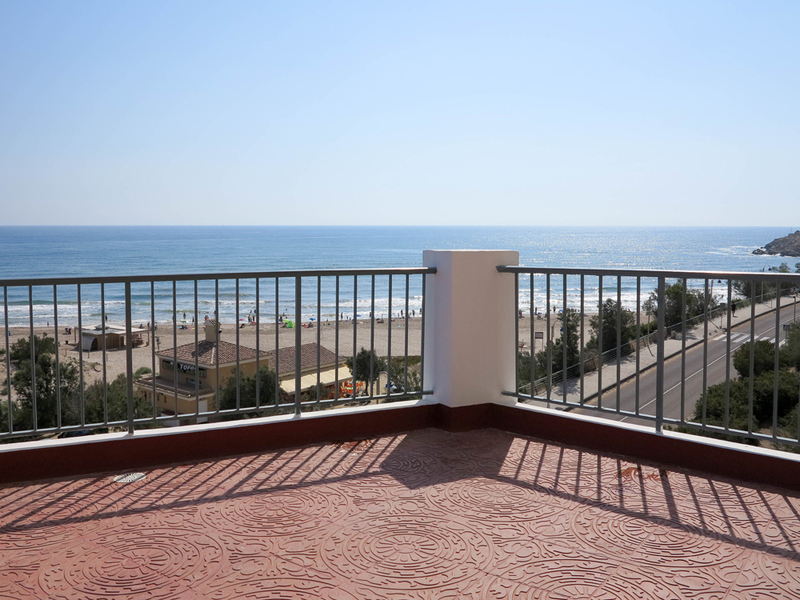 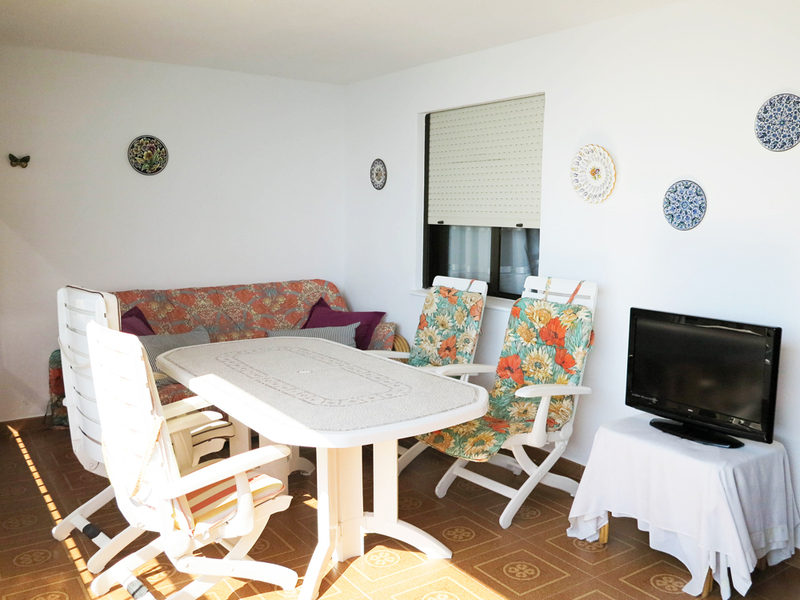 Also if you wanted to achieve an income from buying this apartment as an investment, then you can expect to achieve 600 Euros per week in the summer months and be guaranteed that you are always fully booked in this high demand coastal resort.